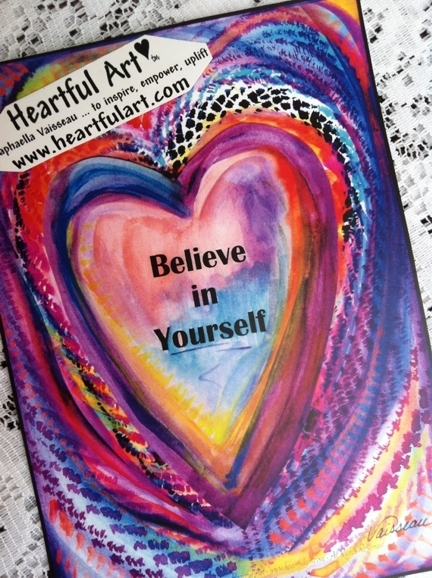 5x7 poster of Believe in Yourself motivational saying within a colorful purple and pink heart by Raphaella Vaisseau. What could be more important to engender in a young heart than to believe in oneself? Inspirational wall art for a child or teenager's room. Colorful home decor for kitchen or bathroom where everyone in the family can see it daily, be inspired, and feel supported. Know you are worthy. Trust your heart. Believe in yourself.